Head to an AMC movie theater through 3/28 and get a FREE Isn’t It Romantic adult admission ticket when you buy one adult ticket! 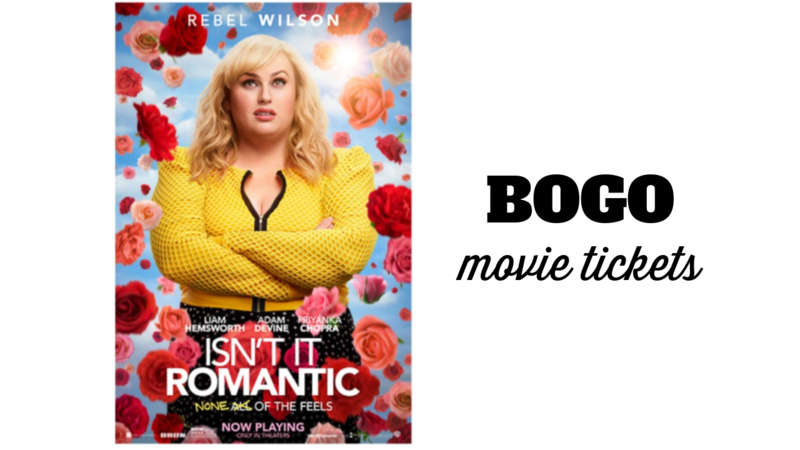 To get the offer, select two adult movie tickets for Isn’t It Romantic at the box office and present your coupon at the time of purchase. Note: This offer is only available at the box office. For another fun movie deal, when you buy tickets to see Wonder Park on the AMC app or online through 4/4, you’ll get a digital code for a FREE 8×8 Shutterfly album ($29 value)!